The generators of life energy (Orgone Generators®) are great tools to enhance any mind function for learning, artistic inspiration, intuition, intelligence, and other capabilities. Traditionally, low frequencies are connected with specific capabilities of the mind. These effects have been well established and they have been tested repeatedly by scientific methods such as the EEG. As the generators of life energy, or Orgone Generators®, can be set to precise low frequencies, they are naturally the ideal tools to enhance intelligence and logical thinking, especially when in conjunction with the PCHD 2400, which can run off the sound card of your computer. To boost intelligent thinking and precision, you can use 14.1 Hz on your Orgone Generator®. To enhance or develop your capabilities of learning, which includes the learning of languages, you can use 6.3 Hz, while you can enhance intuition and self-confidence with the Schumann resonance of 7.83Hz (such as the JU 99 CE). 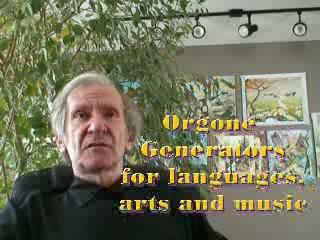 In a very similar way, you can use the Orgone Generators® to enhance artistic inspiration, creativity, music, etc. Good devices for individual use are the PFC 2000 and the PFC 2400 HD as well as the Performer 2400. Also great are the devices of the JU series.